Serving business and property owners for over 40 years. We are EXPERTS at removing abandoned, junk and/or illegally/improperly parked vehicles from private property and we use the most advanced and current equipment available. We provide services to property owners, authorized agents thereof, and those in lawful possession of property (such as management etc. ), free of charge! This is not a parking space! 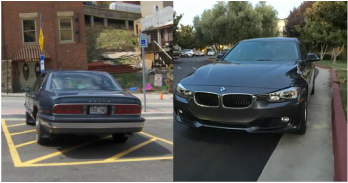 The owners of these vehicles must think the rules don't apply to them but after having been towed, chances are they'll think twice before parking like this again. Call us to learn more about vehicles parked in spaces for the handicap and fire lanes. 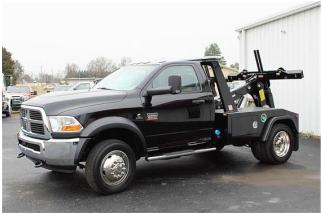 Removing vehicles from private property is our specialty and there is no charge to property owners to enroll in our program and those who sign up receive benefits such as low or no cost roadside. We also provide lock-out and jump-start services as well as A2B tows. Those who are not contracted with us can call for a quote day or night. Do you have any abandoned, wrecked or dismantled vehicles on your property? If so, we will haul away the problem for you. Nobody wants an eye sore on their premises. Abandoned vehicles typically deter potential customers/clients and/or possible new tenants etc.